In this issue of Conde Nast Traveller : The essential guide to inspirational travel. Breathtaking locations, stunning photography and independent travel advice make Condé Nast Traveller the authority in its field and the premier lifestyle magazine for people with a passion for travel, adventure, culture and new ideas. 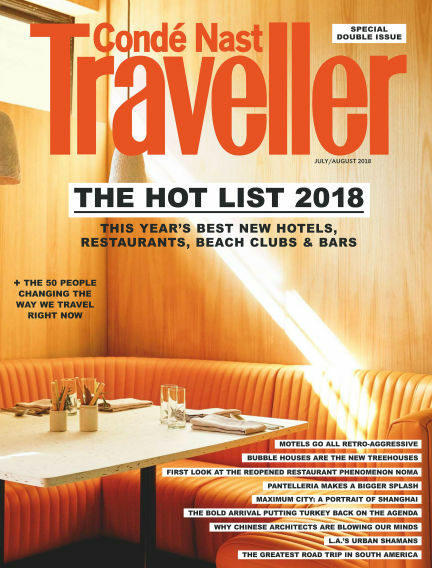 With Readly you can read Conde Nast Traveller (issue Jul-Aug 2018) and thousands of other magazines on your tablet and smartphone. Get access to all with just one subscription. New releases and back issues – all included.